Open to the public --everyone is welcome. Shop and buy direct from artisans and tradespeople at excellent prices --beads, art clothing, jewelry, gemstones, textiles, findings, embellishments; the largest selection of handcrafted beads, art jewelry & gems. Many products offered for the first time --and by the artisans themselves, including an array of designer accessories such as felted hats, artwear, hand-dyed silks, hand tooled leather, and eco-dyed & upcycled clothing. Special room and parking rates at the Hilton. The exhibitors, who are carefully chosen –by invitation and juried application – include both traditional and contemporary artisans, high-quality merchants, and wholesale suppliers. Exhibitor List. Workshops are offered daily, 8am - 9pm. They are taught by beadmakers & artisans, offering step-by-step instruction for all skill levels,and most include tools & materials. 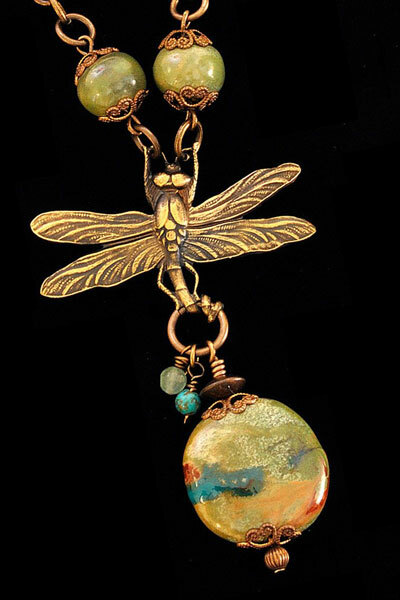 Topics and projects include jewelry design, polymer clay, wirework, crystal setting, bead making, art clay silver, hand knotting, mixed media, chainmaille, and enameling. Admission is $8 online or $10 at the door, good for all three days. Buy tickets online now!. Open to the public, with both wholesale and retail pricing; to register as a wholesale buyer, please bring a business card and resale license. There is no admission charge for youths 17 and under. Hotel rooms are now available for the special rate of $169/night. Book online or call (626) 577-1000. The Pasadena Hilton is a quiet, boutique-style hotel, located at 168 South Los Robles Ave, Pasadena, CA 91101. It is located three blocks from the historic Old Town shopping district and a short distance from Los Angeles. Hilton Pasadena valet parking will be available for a special rate of $10 a day, with self-parking also at $10 a day. Paseo Colorado Shopping Plaza, which is a five minute walk from the hotel, is $2/hour. Street parking is also available.